Life as we know it is changing thanks to technology. Every day the property sector is evolving with new applications such as blockchain, cryptocurrency and 3D printing, to name a few. 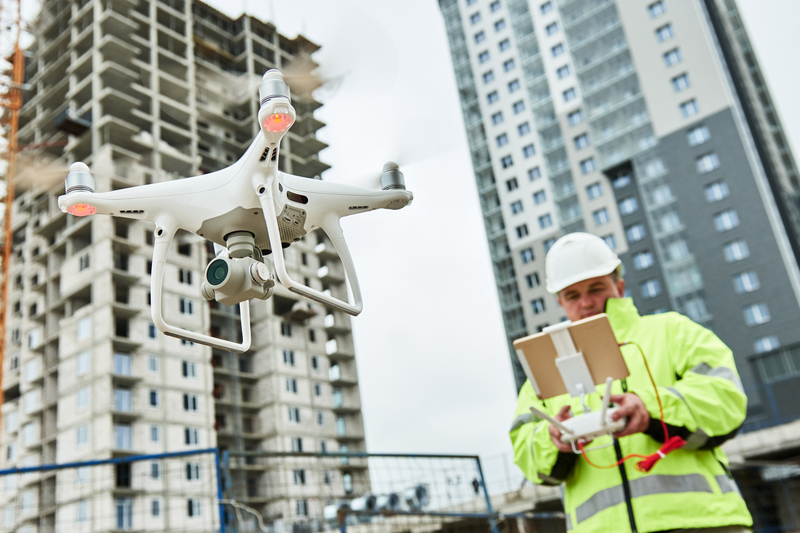 The construction industry is not far behind, where new methods of construction, new methods of site inspection and of course, new types of construction materials have been coming up, which revolutionize how we work, how we build and how we get the job done. As you can probably tell from the title, in this article we will talk about 10 revolutionary construction materials that will change the way we build. Cement is one of the most widely use materials in construction. Yet it is not indestructible and cracks in cement is a major problem in construction. So researchers are looking into making self healing cement. This cement is mixed with microcapsules which contain bacteria that will germinate when water enters a crack in the concrete to produce limestone, sealing the crack. This material can help save energy and costs on repairs. Translucent concrete can help to save your electric bills. It is made with a mixture of optic fiber strands, which creates a solid block which can be used for construction. The blocks have the ability to support heavy loads and their translucent nature allows for more natural light thus reducing the need for electric indoor light usage. Heat insulation materials are very important in construction, especially in cold countries. Heat is transmitted through walls and tends to pass directly through the building envelope to the internal fascia such as drywall. This process is called “thermal bridging”. A new substance called Aerogel, which is a technology developed by NASA for cryogenic insulation, may be one of the most effective thermal insulation materials available. It can be used to insulate studs, which in turn can increase the overall heat resistance of a building. Another material which can be used for insulation, paper insulation is made from recycled newspaper and cardboard. It is a more eco friendly solution to the chemical foams, it is insect resistant, fire retardant and it can be blown into cavity walls to fill every crack. An extremely strong and lightweight material, carbon fiber is five times stronger than steel, yet only has a third of the weight. Not only is it strong it is also flexible and can be molded to any shape you may need. This makes it a perfect material for construction projects in areas which are exposed to harsh wind and weather conditions like tornados and hurricanes. Building integrated photovoltaic (BIPV) glazing can help buildings generate their own electricity through solar power. Developers can use photovoltaic glass as a building material, forming windows, and roofs. This type of material can produce its own energy, and it is equivalent to covering an entire building with solar panels. This can greatly help in saving energy costs as well as help the environment in the long term. Kinetic energy is the energy an object posses when it is in motion. What if we had the technology to harness the kinetic energy of pedestrians as they walked from place to place? That is what kinetic footfall is. It harnesses the energy of every step and uses it to generate electricity which may be stored and used elsewhere such as in streetlights. It is best used in places with high foot traffic like sidewalks. This material may just replace cement completely. It is lightweight, is made of recycled materials and can bear as much weight as normal concrete. Liquid granite has none of the environmental impacts of concrete and cement, yet has all the same benefits. Being made up of recycled materials means it can greatly reduce the carbon footprint of an area. It is also extremely fire resistant, being able to withstand temperatures up to 1100 degrees Celsius. This material incorporates a source of electricity directly into furniture like tables and chairs, getting rid of the need for wires completely. It is made by pressing two metal layers between the wood of furniture, making it possible to conduct electricity through the entire piece of furniture. The power is fed into one connector, and other devices like lamps can be connected to outlets. Low-E Glass/Films is a special type of window glass that has been treated with a type of metal oxide. This procedure makes it so that the glass can reflect heat while still allowing light to pass through. This works very well as it stops outside heat from coming in, keeping an interior cool during hot weather and can keep the warmth inside, keeping an interior warm during cold weather. Windows treated with Low-E coatings have proven to reduce energy consumption and increase overall comfort in a building.